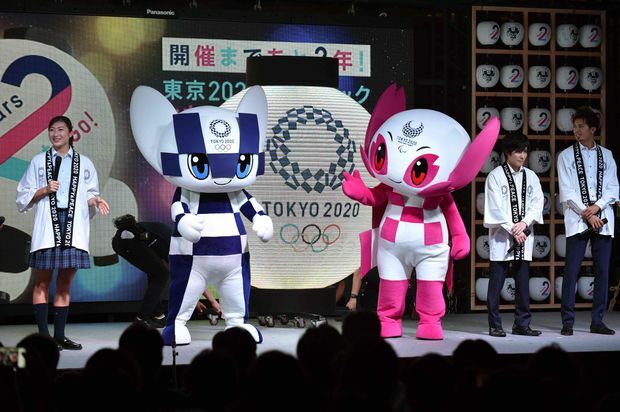 Tokyo 2020 Olympic Games mascot Miraitowa and Paralympic mascot Someity attend a countdown event on July 24, 2018 at Tokyo Skytree Town. The 2020 Olympics will open in two years, and the heat is on. “We are mindful that we do have to prepare for extreme heat,” John Coates, head of the IOC’s co-ordination commission for the Tokyo Games, told a recent news conference. 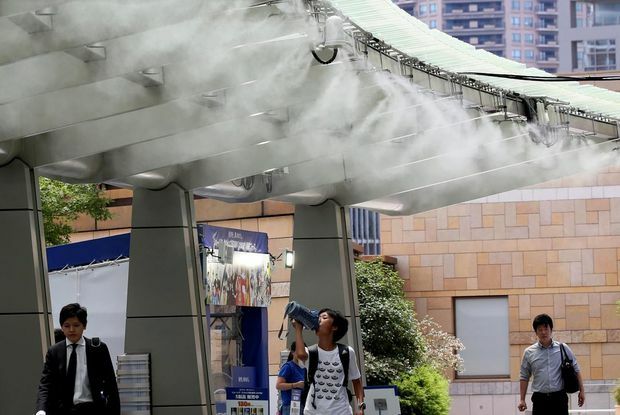 People cool down under a misting station in Tokyo on July 23, 2018. Organizers want the games to help showcase Japan’s recovery from the 2011 earthquake and tsunami that took more than 18,000 lives and triggered meltdowns at the Fukushima nuclear power plant. While reconstruction from the disaster is making steady progress, and work on the new 68,000-seat main stadium in Tokyo is 40 per cent complete, more than 70,000 people remain displaced from their communities. Meanwhile, organizers say the other newly-constructed venues are 20 to 40 per cent complete.